Todd is considering a reclassification for 2019. 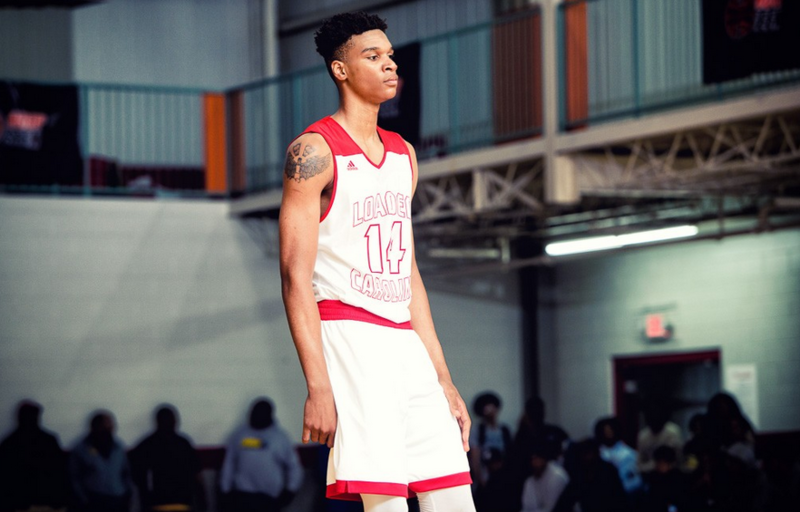 The OSU basketball staff is battling with bluebloods for five-star class of 2020 recruit Isaiah Todd, and things are getting interesting. Just this week, OSU’s staff visited Todd in Virginia, but they weren’t alone. According to ESPN, so was Boston College, Maryland and Kentucky. North Carolina, Kansas, Virginia and NC State all remain a factor, too. So why the hubbub about a 2020 kid who still has a year to sign? News broke a few weeks ago that Todd is seriously considering a reclassification into the 2019 class, which would make him one of the top available unsigned players in 2019 — and he’d be eligible next season pending his grades check out. We wait for now to see where he lands, but a reclassification makes sense for many reasons. First: The 6-10 power forward is a stud. He could be playing 30 minutes a night for a program like OSU this season (and maybe all 40 considering OSU’s scholarship situation). Second reason, which is probably more important for him, is that he’ll be 18 years old in October. He’s likely a one-and-done caliber prospect so checking off the box of going to college is important before he takes his game to the next level. North Carolina and Kansas are considered two of the frontrunners with Todd, but OSU has remained in the mix for several years thanks to his ties to assistant coach David Kontaxis, as well as Mike Boynton’s aggressive pursuit of him. Todd is ranked as the No. 12 overall prospect in 2020 and the No. 2 power forward in the country.